You interact with millions of lines of Google code every day, whole lengths of them whirring into action every time you check your gmail or carry out a search. Google is powered by billions of lines of code. But just how much goes into Google’s internet services might surprise you. The figure is 2 billion — that's 5,000 as many lines of code as the original space shuttle . Google Chrome also has 135 times as much code as a simple iPhone photo-editing app. Although nearly all the software we use today has thousands of times as much code as the original Unix operating system, developed by AT&T in 1970, Google still blows its competitors away in terms of sheer length. 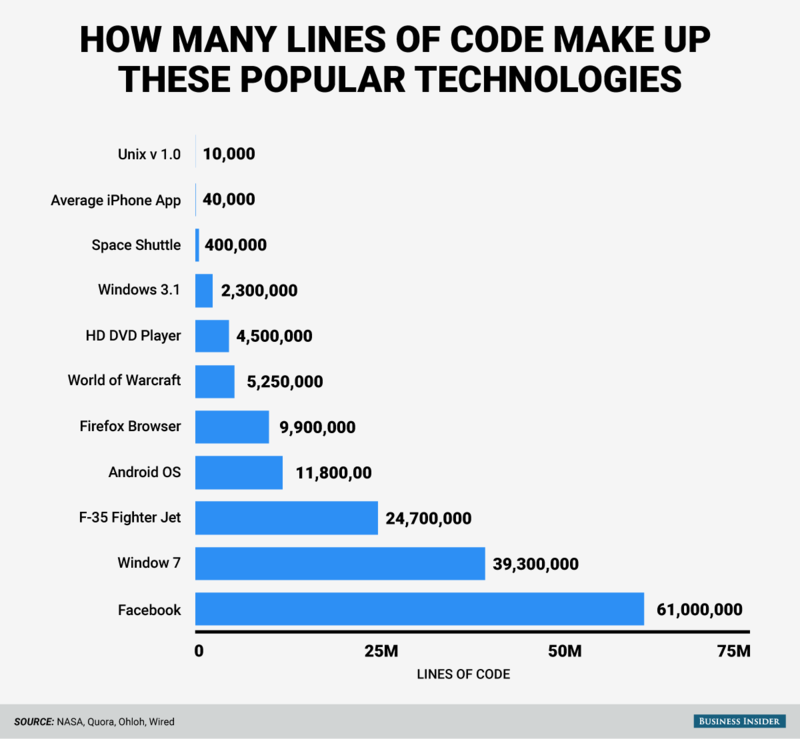 Here’s how many lines of code are in your favourite apps and services.